Blizzard Entertainment announce that the Grammy Award-winning band will close out the 11th BlizzCon on Saturday, November 4, delivering a stage-shattering conclusion to Blizzard's two-day community celebration for everyone attending in person and joining from home with the BlizzCon Virtual Ticket. 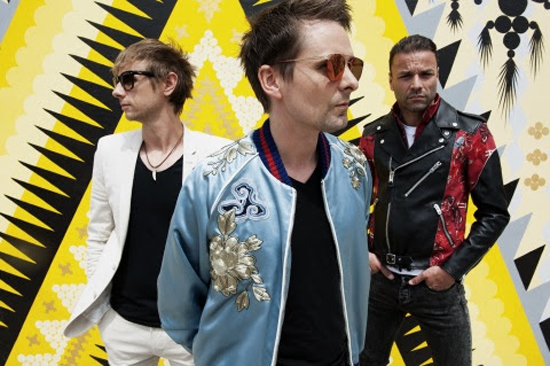 Renowned as one of the best live acts in the world, Muse—Matt Bellamy, Dominic Howard, and Chris Wolstenholme—have won numerous music awards, including two Grammy Awards, an American Music Award, five MTV Europe Music Awards, two Brit Awards, six NME Awards, and six Q Awards. Since forming in 1994, Muse have released seven studio albums, selling more than 20 million copies worldwide. Their latest album, Drones, debuted at #1 in 21 countries around the world and scored the band their first No. 1 album in the United States—along with an award for Best Rock Album at the 2016 Grammy Awards. Returning to Anaheim, California for its 11th year, BlizzCon is a massive celebration of Blizzard's universes and the global player communities that bring them to life. The event has drawn thousands of Blizzard gamers from all over the world to the Anaheim Convention Center for more than a decade, with millions more tuning in online. This year's show, running November 3 and 4, will be loaded with in-depth developer panels, thrilling esports tournaments, community contests, and much more. "We're thrilled to close out our 11th BlizzCon with a performance from one of rock's greatest live acts," said Mike Morhaime, CEO and cofounder of Blizzard Entertainment. "Muse has wowed millions of people around the world with their groundbreaking music, and we're excited that they're coming to give BlizzCon attendees an epic sendoff." This year's Virtual Ticket brings the Blizzard community viewing from home even closer to BlizzCon with expanded stage coverage, a new BlizzCon All Access channel, on-demand videos, and several series of weekly pre-show videos—available to watch now on www.blizzcon.com. It also comes with a cache of commemorative in-game goodies for a variety of Blizzard games, including World of Warcraft, Overwatch, Hearthstone, Diablo III, StarCraft II, and Heroes of the Storm.